"I enjoyed staying at Hakodate Perry House." Have a question for Hakodate Perry House? "The house was clean, well equipped, and the staff was very nice." "Hakodate is a romantic town,love it,and will come again,Perry house would be my choice again,recommended to everyone who travel on budget!" 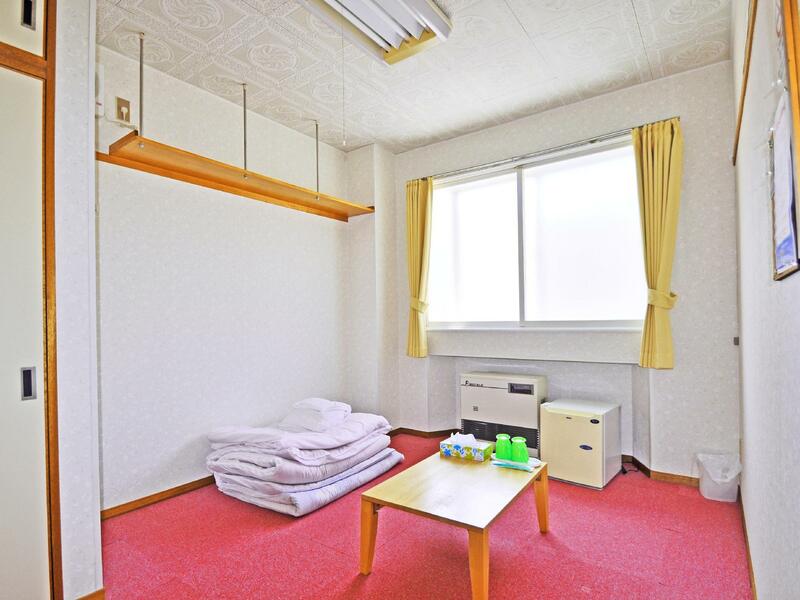 "The kitchen is well-stocked with cooking and eating utensils..."
Whether you're a tourist or traveling on business, Hakodate Perry House is a great choice for accommodation when visiting Hakodate. From here, guests can enjoy easy access to all that the lively city has to offer. 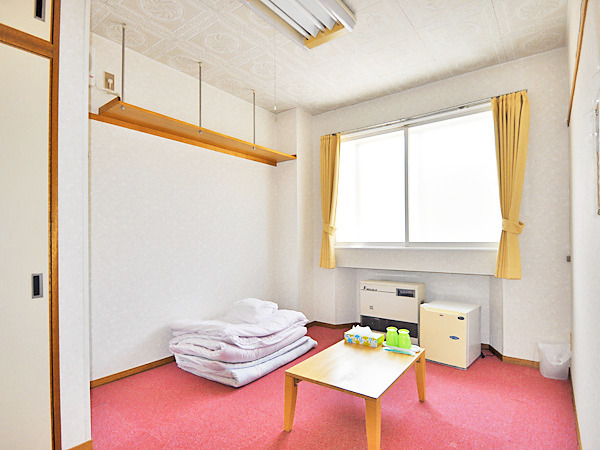 The facilities and services provided by Hakodate Perry House ensures a pleasant stay for guests. Top features of the hotel include Wi-Fi in public areas, bicycle rentals, a car park, concierge, and vending machines. Hakodate Perry House is your one-stop destination for quality hotel accommodations in Hakodate. "Staff very friendly and gave us a good recommendation for a..."
Check-in is available from 3:30 PM to 4:00 PM and from 8:00 PM to 8:30 PM. Please provide your arrival time in the “Special Request” section upon booking. very comfortalbe like your Home . Lovely and very nice Place . i stayed on 2nd floor for first night, however kept being bothered by the noise next door, also people walking around. good thing is owner changed me to 3rd floor later, which improved my sleeping quality largely. overall i recommend the hotel with good location and considerable service. Staff very friendly and gave us a good recommendation for a sushi restaurant nearby. Close to tram stop and walking distance to Hakodate Park and the ropeway. Only one shower though and walls were thin so had to endure a drunk man stumbling around outside our door at 1am. Otherwise, it’s in a quiet location (which was what we liked) with lots of great architecture nearby. I enjoyed staying at Hakodate Perry House. It was my first experience with a Japanese style room. The house was clean, well equipped, and the staff was very nice. The only con were the pillows which felt like they may have been filled with buckwheat. Perry House is really convenient to travel from around the city, with the tram stop only a few minutes away. It's also right next to a supermarket, so good if you need to get groceries. The kitchen is well-stocked with cooking and eating utensils and supplies. Only thing to be aware of is that towels are rented at 100Yen per set, so bring your own if you don't want to pay. Booked three nights for private room,but when check in,the owner gave me a room with two bunk beds room,that's great,no problem for me,room is clean,the house has two shared toilet and one shower room(at the 1st floor).it has dining room kitchen and rest room etc.the location is quite good,there's a tram pass by,the station is omachi,once alighting from the tram,turn back and walk ahead for few minutes,you can see a supermarket at your right hand side,then turn to it,perry house just beside it.you can take the tram to the city center,or just walk,Perry house very close to famous sightseeing spots.the owner is nice, will recommend you some nice place to see and also nice restaurant to eat.Hakodate is a romantic town,love it,and will come again,Perry house would be my choice again,recommended to everyone who travel on budget! I stayed here for two nights. It was a lean period so there were just two people in the guesthouse. It is centrally located and well connected with tram. The motomachi area, which is the old town, is very near. There's a drugstore nearby from where you can buy anything. Overall a good experience. It was a perfectly reasonable price for a no-frills one night stay. Room is clean. Friendly owner. Good location, near to tram station and big shop for comestic and daily grocery. Really great! But one comment: hotel entrance is not facing main road. Hotel name also not facing main room... possible miss it. 이 숙소를 예약한 것은 일본 여행의 가장 큰 실수였습니다. 처음 가니 근처에 사람들이 나와 앉아있더라구요. 들어가보니 방에 에어컨 선풍기 하나 없고 그냥 2층침대랑 작은 냉장고가 전부였습니다. 수건도 유료고 이브자리도 쾌적하지 않았습니다. 게다가 방은 8개이고 욕실이 1개여서 씼는게 걱정되서 잠도 잘 못잤습니다. 절대 비추입니다.